Three years ago, Walt Disney World’s Magic Kingdom introduced an interactive quest for guests of all ages. The name of the quest was “A Pirate’s Adventure: Treasure Of The Seven Seas”. 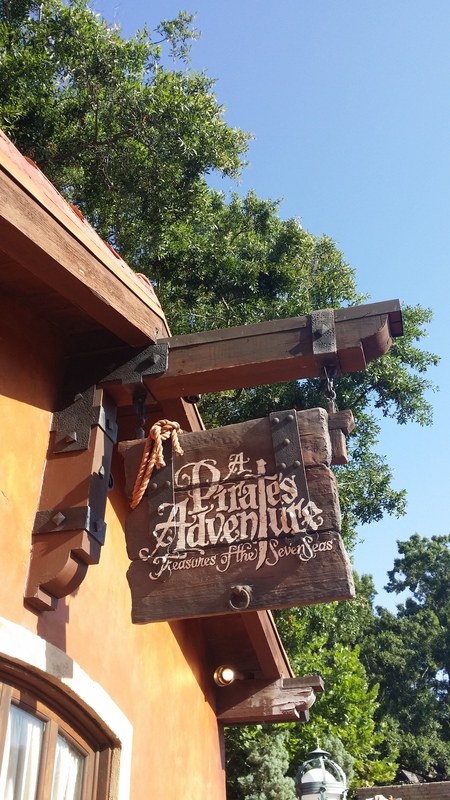 Over the years, thousands of wee pirate lads and lassies (as well as a few buccaneers) have enjoyed scavenging around Adventureland to find clues and solve the mystery of the adventure. A few months ago, Disney announced an addition to the adventure. 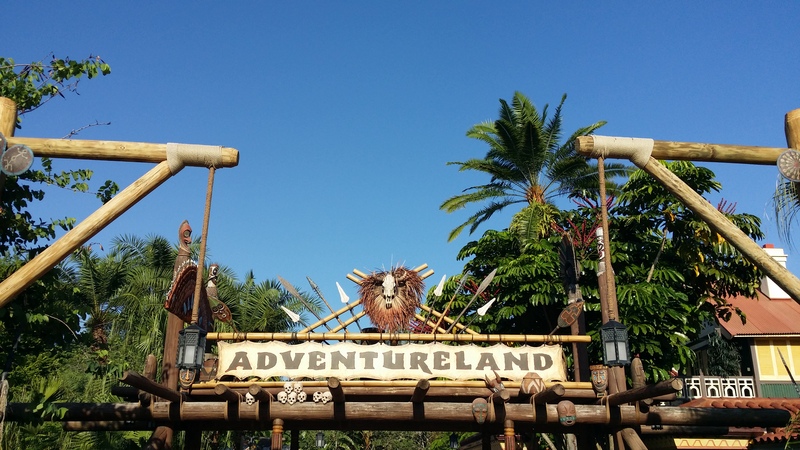 Let’s take a look at one of the adventures, as well as the new surprise ending awaiting guests. 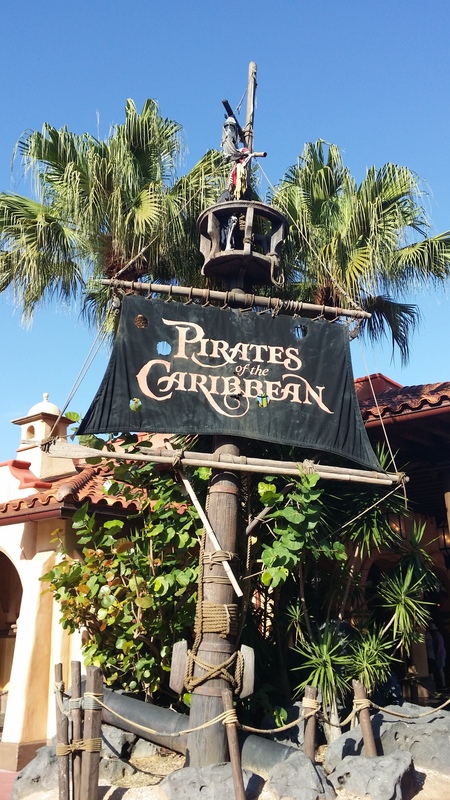 The building where you sign up for the Pirate’s Adventure is next to Pirate’s Of The Caribbean, towards Splash Mountain. It’s an unassuming building that most people just quickly walk by, perhaps thinking it’s a food vendor or something of that nature. However, once you walk inside, your fate be forever changed. There are 5 different adventures you can choose. 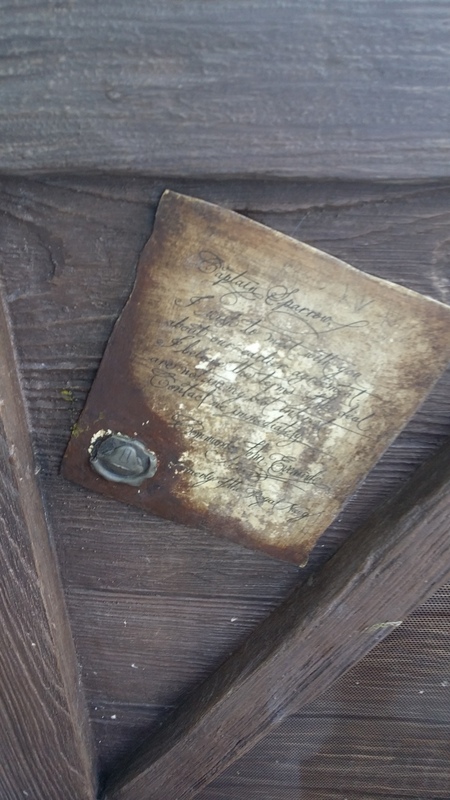 Once you’ve chosen your adventure, simply scan your magicband (or your park ticket) and the on screen guide will tell you what mark on your map to go to first. 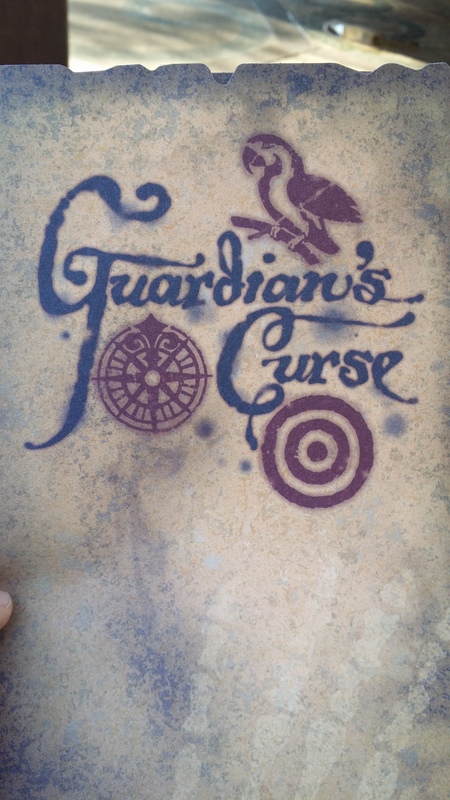 For this demonstration, I chose the Guardian’s Curse adventure. Once I scanned in, I was off on an adventure I won’t soon forget. 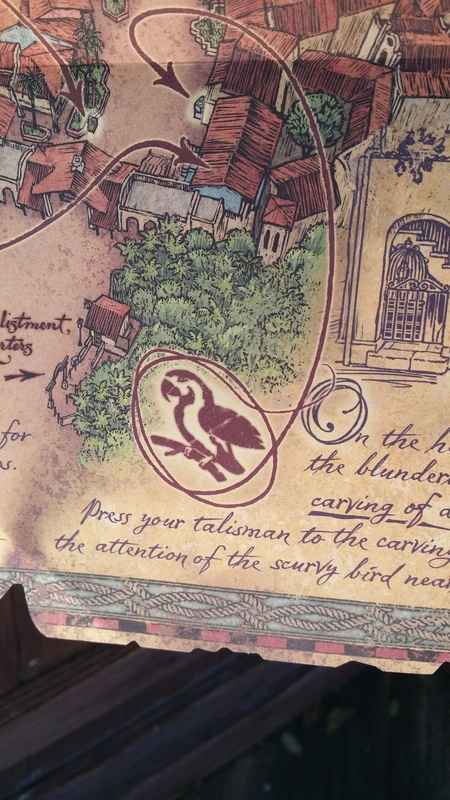 For each adventure, you receive a treasure map telling you roughly were to go to find your clue. 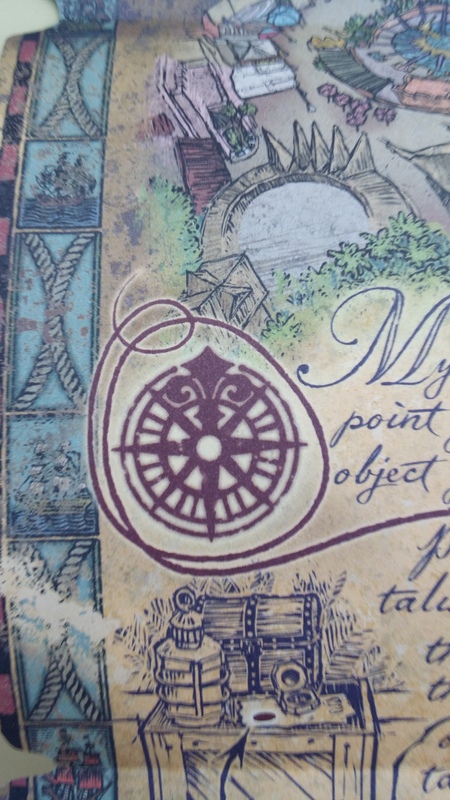 Once you reach the area, you have to find the symbol listed on your map. When you touch your magicband (or ticket) to the symbol, something magical will happen in the immediate area that will tell you where to go next. You never know what you’ll find. First up, the compass symbol. This symbol seemed easy enough to find. 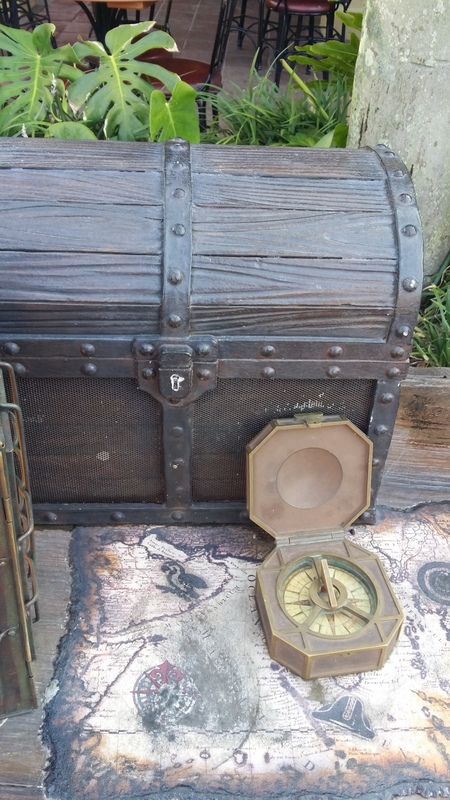 Look for a treasure chest, a lantern, and a map on top of an old crate. Then find the symbol. Well, there are a lot of crates around. Thankfully, I found my symbol. The next symbol that I was to find was the bulls eye symbol. 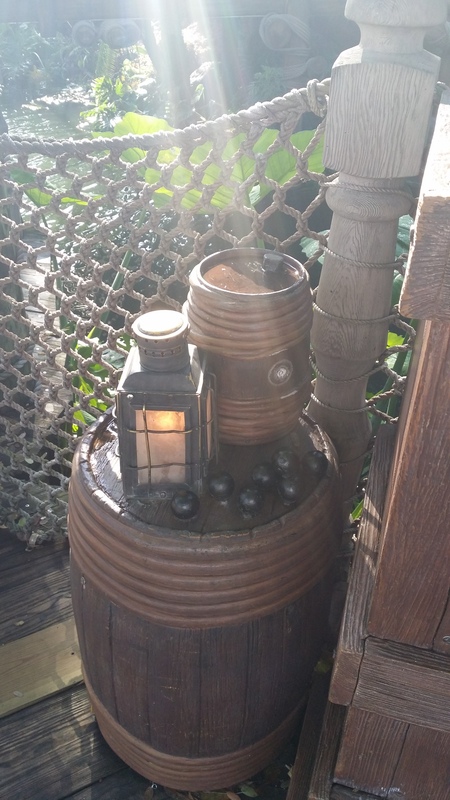 This one proved even trickier to find, but I kept a sharp eye out and sure enough, found what I was looking for on top of a barrel (perhaps filled with rum for Captain Jack Sparrow?). Next up, I had to search for a parrot symbol. 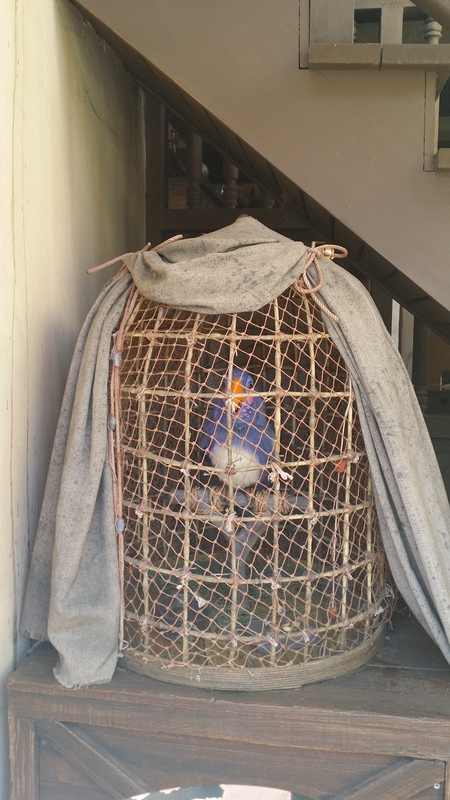 Since I knew there were parrots all over Adventureland, it took me a few minutes to find the right parrot (and the matching symbol). However, I found the tricky bird. I was getting excited. This was fun, and it didn’t take that long to do. Plus it was a great way to spend a very quiet morning in Adventureland. 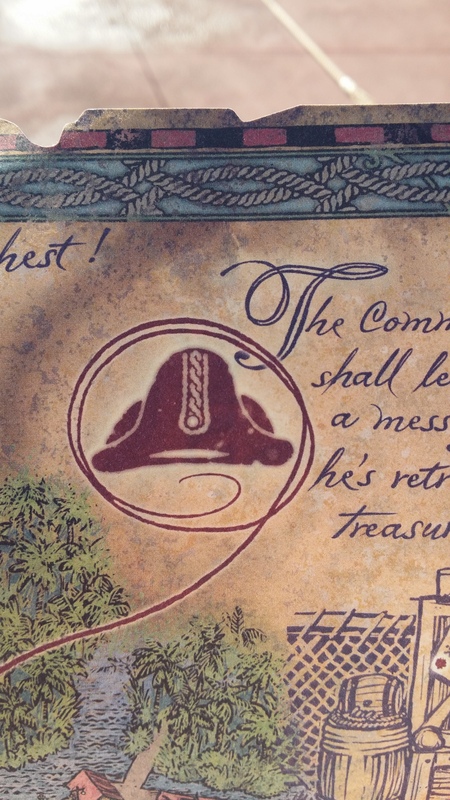 Off to the next symbol: A captain’s hat. A few moments later, I had found the blasted hat. 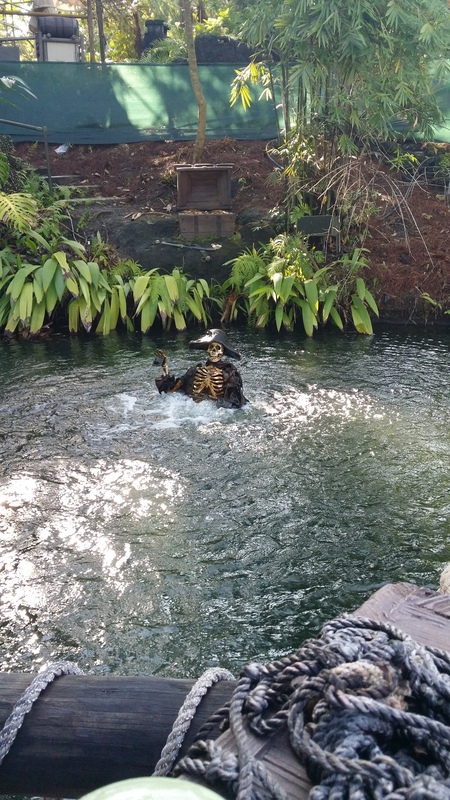 I had won the adventure, but this odd pirate came up out of his watery grave to tell me that I should continue my quest for more treasures. Since it had taken me less than 10 minutes to complete the entire adventure, I decided that I would try, as my Pokemon Go friends would say, to “catch them all”. At the end of the 3rd adventure, I was dealt a pleasant surprise: a complimentary fastpass for Pirate’s Of The Caribbean. This wasn’t time stamped, but date stamped, good through the end of the month any time the ride was operating. I then went on my way continuing adventures, and received another at the end of my 4th adventure, and another at the end of my 5th adventure. An hours worth of work searching all over Adventureland (and seeing things that I had never noticed before) and I had 3 free legacy fastpasses to use anytime over the course of the next 2 weeks. 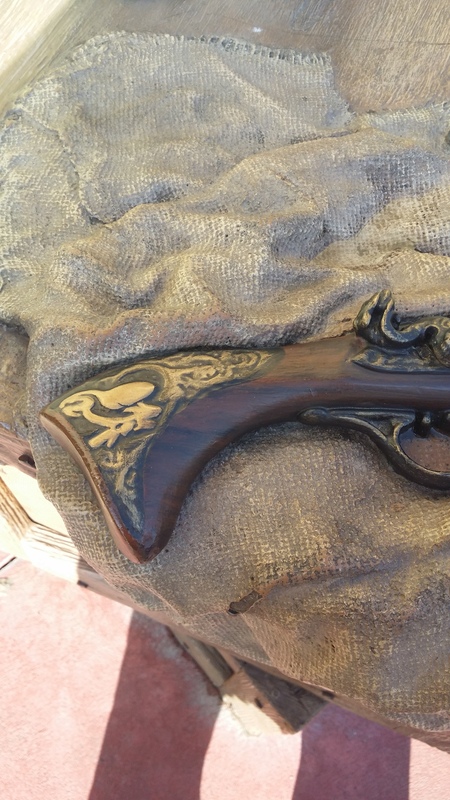 If you’re in the area and have some free time, I definitely encourage you to take the challenge and enjoy the Pirate’s Adventure: Treasures Of The Seven Seas. You won’t be disappointed. Joshua Snyder is a Disney fanatic and Travel Agent, working with My Mickey Vacation travel.. He is an annual passholder for Walt Disney World, and enjoys going the parks as often as he can. In his spare time, he enjoys reading everything he can about the parks and helping introduce new families to the Happiest Place On Earth. He currently resides in the Orlando, FL area. He can be reached at joshua.snyder@mymickeyvacation.com.